Aikido represents a synthesis of fighting principles that date back over hundreds years. 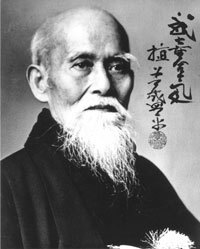 The art’s present form is the product of a life-long pursuit of the samurai warrior arts by Morihei Ueshiba (1883-1969), referred to by his students as O sensei, or “Great Teacher”. O Sensei was a remarkable individual who, as a young man, studied and mastered several traditional forms of Japanese bujutsu including the sword, spear, staff, and various empty-hand combat systems. A profoundly spiritual man, O sensei often lamented the futility of bujutsu, which is based solely on victory and overcoming others. Throughout his life O sensei struggled with this dilemma deeply. During somewhat of an epiphany, Ueshiba surmised that winning at the expense of others was—at best—a temporary victory that ultimately lead to one’s own destruction. 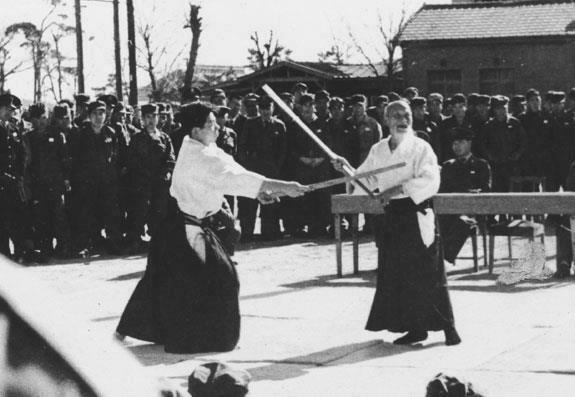 The essence of this revelation is contained in the Founder’s statement, “masakatsu agatsu”, or “true and correct victory is the victory over oneself.” Transformed by this spiritual insight, O Sensei’s technical mastery began to focus on a martial art of refinement, preservation, and astonishing power, that was fundamentally different from those which preceded it. In his later years, the Founder maintained that the warrior’s path is a path of love (which subsequently is another translation of the kanji “ai” in Japanese). O sensei believed aikido was a way to overcome the discord of humanity and a means by which to bring lasting peace to the world.